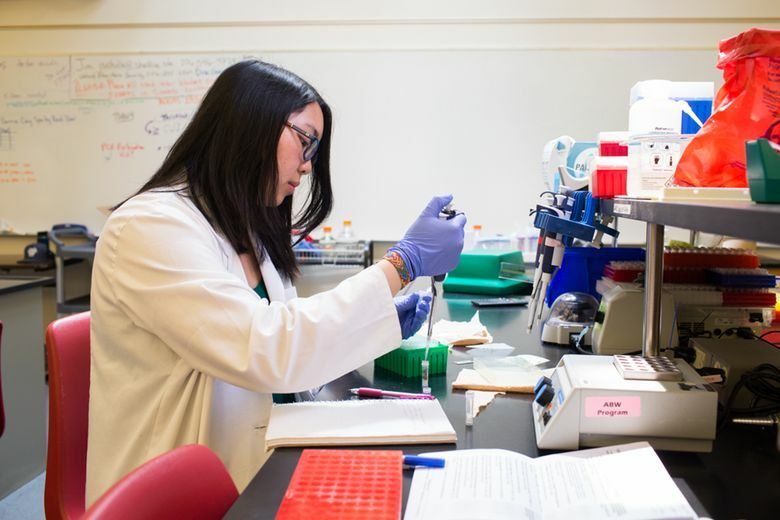 A Shoreline Community College student works on a microbiology experiment in the school’s lab. Savvy students are sending themselves to summer school — for college. Community colleges offer many flexible summer options to give students a head start for fall, a chance to make up coursework from spring, and the ability to fill in the gaps to take their education to the next level. 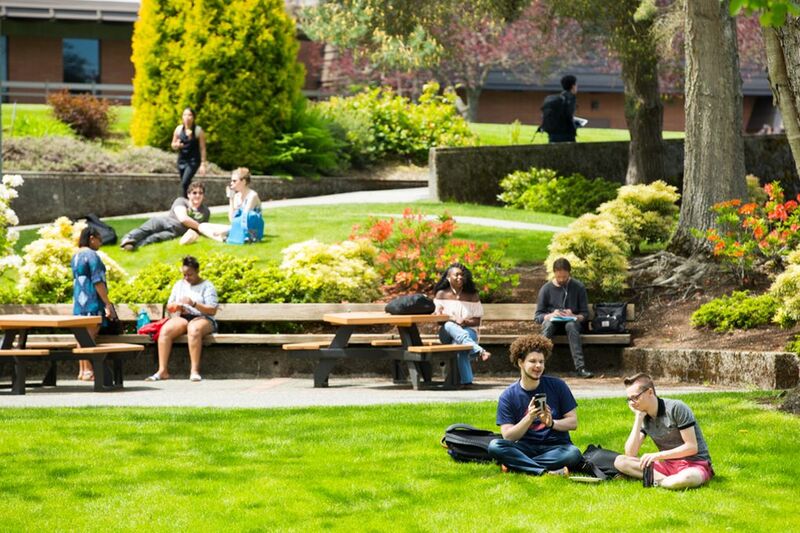 According to Alison Stevens, Executive Vice President of Student Learning & Success at Shoreline Community College, there are a number of ways that students can use their summer to advance their education and career. Online learning and flexible class times make it easy to make progress on your degree, while still making time for fun. At Shoreline Community College, for example, you can earn up to 15 credits in as little as 4 to 8 weeks over the summer, whether you’re in town just for the summer, enrolled at another school or at Shoreline year-round. The pace is up to you — dabble in a new field of study, brush up your required skills or accelerate your learning by polishing off a whole course in intensive study. Shoreline’s Virtual Campus offers more than 25 degrees and certificates in interactive online classes. The Shoreline campus offers traditional in-person classes, and hybrid classes for easier scheduling, which combine online lectures and videos at home with in-person classes on campus with your professor and peers. At a community college, a wide breadth of classes covers the subjects needed to be a successful university student. Just as it’s never too late to complete your degree or postsecondary certification, it’s never too early to get started — or to prepare your own students for advanced education. Shoreline offers middle and high school students biotech and forensic science summer camps with college faculty to lay the foundation for STEM learning and the jobs of the future. Attending college for the first time this fall? Give yourself a head start. Stevens recommends getting those pre-reqs out of the way early and practice developing college-level study habits now, to be prepped for success by fall. Worried about your math or writing skills not making the grade? Polish them up for a stronger start. Community college’s small classes sizes — 22 students is the average at Shoreline — provide plenty of individualized support to help high school students successfully manage the college transition. Students enjoy the sunshine during a break between summer school classes. No credits? No problem. Summer provides a second chance to make up missed (or unsuccessful) coursework from the spring semester, or even previous years. Stevens recommends focusing on just that one problem class or subject that you didn’t find time for or that didn’t go as well as it should. Give it your undivided attention this summer, and complete the courses required for a degree or certificate. Then, she says, go back to school with renewed self-confidence — and those missing credits. Your brain doesn’t go on hiatus in summer. Keep it fed! Learn a new language or study abroad, even if you attend another school during the rest of the year. You can take an entire year of Spanish — or two quarters of American Sign Language — in eight weeks as a full-time summer student. Or make education part of your summer travels with a study abroad program. Gain a competitive edge at your job, or prepare for a new field, by enrolling in professional/technical vocational studies that provide specialized knowledge and skills. A wide range of flexible class times accommodate busy work schedules. At Shoreline, more than 100 transfer and professional/technical areas of study are offered to help students meet their career goals. Shoreline Community College’s summer classes start on July 2. View the complete summer schedule online. To learn more, visit shoreline.edu.